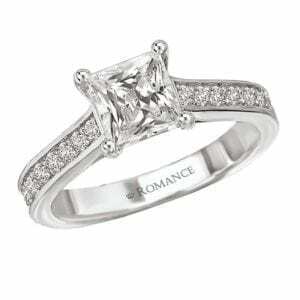 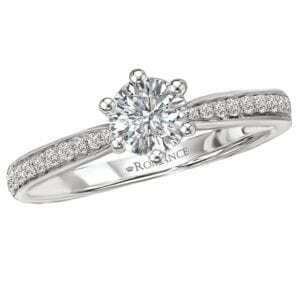 25400 Diamond Engagament Ring 0.40 Ctw. 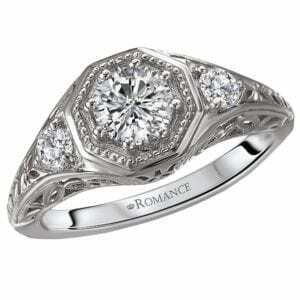 An Antique Inspired Engagement Ring with Filigree, Milgrain Detailing and Bezel Set Center Stone. 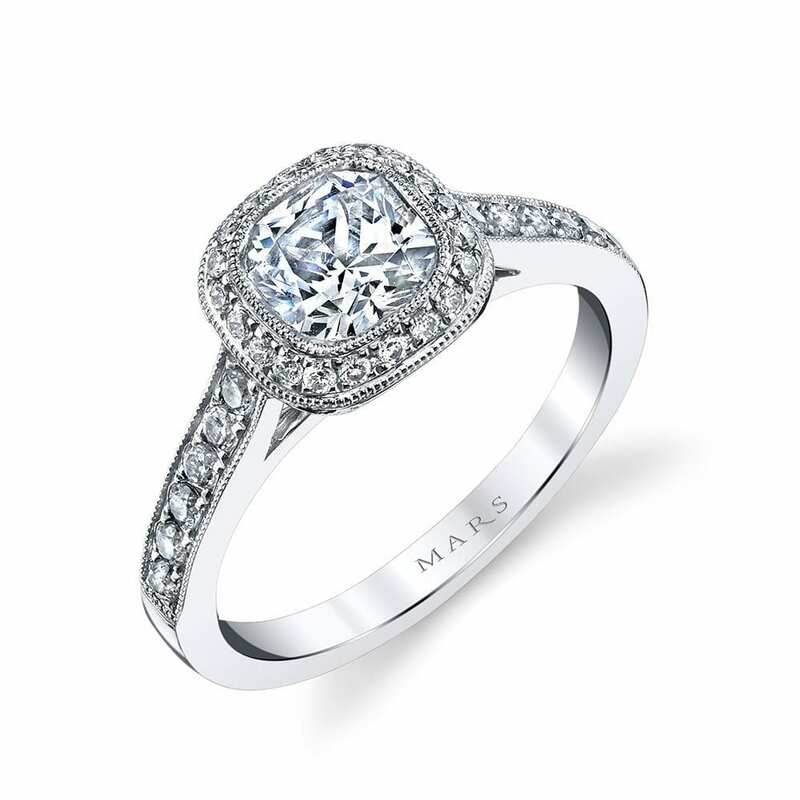 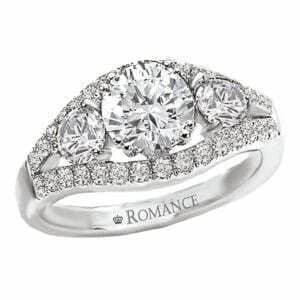 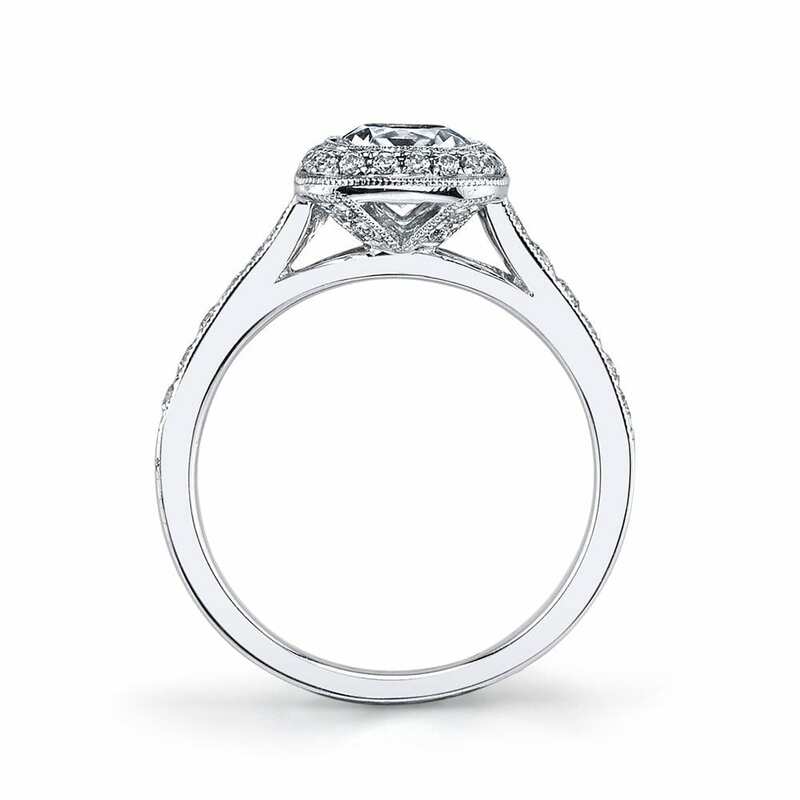 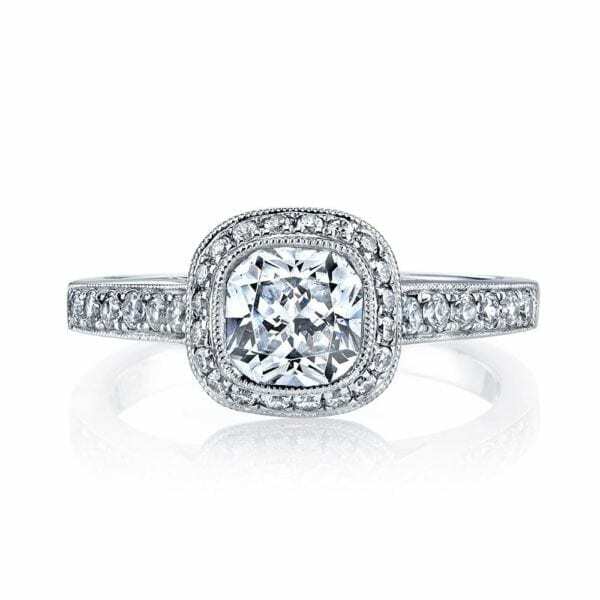 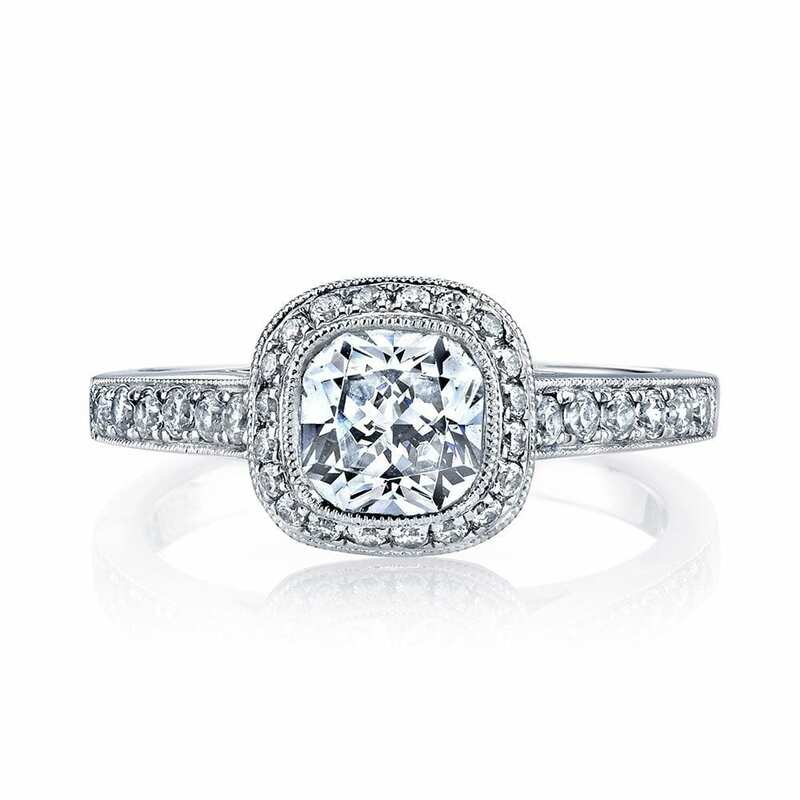 Shown in White Gold with One and Quarter Cushion Cut Center; Price Does Not Include Center Stone; 0.40 Carat Total Weight.